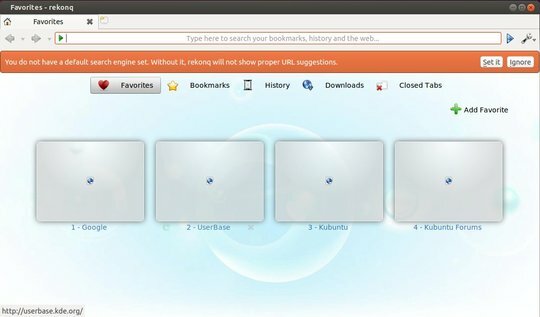 Rekonq is a web browser for KDE based on WebKit. Rekonq 2.4.2 has been released recently and here’s how to install it in Ubuntu, Linux Mint and their derivatives while the Kubuntu Backports PPA still has version 2.3.2. I am still not use to Linux (Kubuntu 14.04) and often need to go online to see Command Line code for getting things done. It’s really great that you are sharing what you are learning…I’ve just installed the rekonq browser and am now figuring out the ‘dropbox’ install; Apparently, i am missing the KDE gnome and need to use a different approach. Thank you for your help.